Zarya.info is a hobbyist website managed from the South Tyneside area of the UK. Here you will find things that interest me..... current space events, the Soviet/Russian space programme, satellite tracking. See Zarya's launch lists for selected years. They show satellite descriptions, launch records, detailed orbits and histories of orbital manoeuvres. 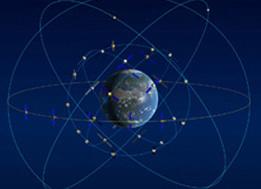 Information is derived from data provided by SpaceTrack and from independent tracking undertaken by amateur satellite observers. The lists run to the end of 2015 but they are not currently being updated so recent manoeuvres and re-entries are not recorded. In the 1960s, a small group of teachers and schoolboys were using basic radio equipment to eavesdrop on Soviet/Russian satellites. They came to prominence in 1966 when they deduced that the Soviet Union had made its first space launch from a new cosmodrome. 2016 marked the 50th anniversary of the event that catapulted the group into the international limelight.